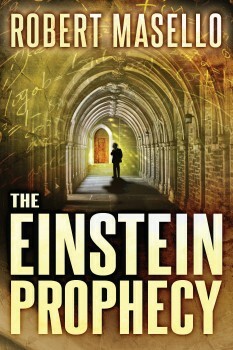 History and horror make for a potent mix in THE EINSTEIN PROPHECY. In the literary sense, I’m afraid I’ve never grown up. For a lot of writers, all you have to do is look at what they were reading as kids to see what they’ll write as adults. Back when I shared a freezing bedroom with one of my brothers in Evanston, Illinois (I remember ice on the inside of the handle that cranked the windows shut), my half of the bookcase was packed with two kinds of books. First, there were books I could count on to scare me, including the Alfred Hitchcock anthologies for young readers I bought at the annual Orrington Grammar School Book Fair. The jubilation I felt at landing a new volume of these can only be equated now with learning that I can finally, hallelujah!, go off of one of my costly blood pressure meds. These books were filled with spooky stories by everyone from H.G. Wells to Robert Louis Stevenson, and I was always torn between rationing them out and ripping through the whole anthology as fast as I could. As I got a bit older, the books got even more terrifying and demanding. My copy of Frankenstein had a cover that portrayed the monster as a haggard human with a jutting jaw and long, straggly hair; Karloff’s was also a great rendering, no doubt about it, but I could never give up on that cover illustration either. Thus, cognitive dissonance first entered my life. Bram Stoker’s Dracula, however, was the first book that I can remember making me haul my chair into a corner of the den where, as I read, I could be absolutely sure nothing could creep up behind me. I had every light in the room on, and when I did go to bed, I kept the little lamp on the bedside table on, too. Its base was a colorful globe of the world that you could spin, and many a night, I would spin it before going to sleep, and then think about what it would be like to live wherever my finger landed. Thank God I never landed on Transylvania. The other distinct species on my shelf were history books, most notably the series called Landmark Books. Ethan Allen and the Green Mountain Boys. The Barbary Pirates. Remember the Alamo (by Robert Penn Warren, no less!) Who knows what I’d think if I were to open one of them now—all of them made me eager to don a uniform and go off to lay down my life for my country—but back then I found them riveting and wholly persuasive. 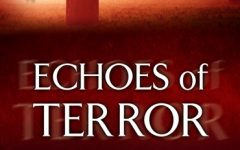 So, I guess it’s no surprise that now, decades later, that the books I write turn out to be a strange mix of both the supernatural and the historical, boogeymen and battles. In one novel, I threw vampires into the Crimean War (Blood and Ice), in another I made the Renaissance sculptor Benvenuto Cellini an immortal (The Medusa Amulet), and in The Romanov Cross I revisited the evil monk Rasputin and the end of the Russian dynasty. The latest addition — THE EINSTEIN PROPHECY—takes the 20th century’s greatest physicist and places him face-to-face with Mankind’s most ancient enemy. For me, like most people, Einstein was an iconic figure— who can even say his name without immediately thinking of E=mc squared, or that bushy moustache and wild head of gray hair?—but he was also something more personal. In exile from Europe, he lived out the last nineteen years of his life in the town of Princeton, New Jersey, where I happened to go to college. His house still stood at 112 Mercer Street, the campus walkways he once strolled looked pretty much the same as they did in the1940s, the Institute for Advanced Study, where he was the most celebrated employee, still conducted its heady research there. He was more of a living presence for me than he might have been somewhere else. Among the many things that had intrigued me about the man was the role he had inadvertently played in the creation of the atomic age. All of his life he had been a devoted and outspoken humanist and pacifist—he once said that even the martial air of a marching band made him uneasy. But without him —without a portion of the grand theoretical frameworks he had laid—the atom bomb could not have been invented. Indeed, it was his letter to FDR that helped convince the president to fast-track what later came to be known as the Manhattan Project. The fear was that the Nazis were working on the problem too, and that if they got there first, the world would be theirs. Against his natural inclinations, Einstein signed the missive, but when the war was over, and it was discovered that Hitler had abandoned his big push for an atom bomb (he was confident he could win the war the old-fashioned way), Einstein expressed regret that he had sent the fateful letter. What was it like, I wondered, for him to see his great discoveries used to create the most destructive force the world had ever seen? In later interviews, when he was asked what weapons he thought would be used to fight the Third World War, he said he didn’t know. But the Fourth, he prophesied, would be fought with rocks. It was out of that internal and emotional struggle that THE EINSTEIN PROPHECY was generated. That was the nucleus. Much of the story is true to the historical record, but much of the rest is fashioned out of pure conjecture and the darkest turns my imagination could take. The real-deal and the made-up. The hard facts and the dark fantasy. All the books, in other words, crammed onto my boyhood shelf. 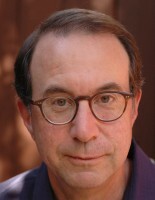 Robert Masello is an award-winning journalist, television writer, and author of many bestselling novels and nonfiction books. A native of Evanston, illinois, he studied writing under the novelists Robert Stone and Geoffrey Wolff at Princeton (though not when Einstein was in residence there). His previous novels include The Romanov Cross, The Medusa Amulet, and Blood and Ice. Masello currently resides in Santa Monica, California.